Specifically designed for superior quality uninterrupted communication and entertainment reception of TV and data in limited space situations - aboard small, medium or large vessels, the highly efficient, lightweight AL-7203 linear & circular Ku-Band antenna can be deployed to support any number of end users. 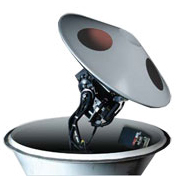 Providing the best in high performance, low maintenance satellite reception from all over the world, Orbit Marine's AL-7203 innovative, flexible, stabilized TV antenna system supports a wide spectrum of satellites and polarizations, delivering high functionality in a compact 1.05m radome. 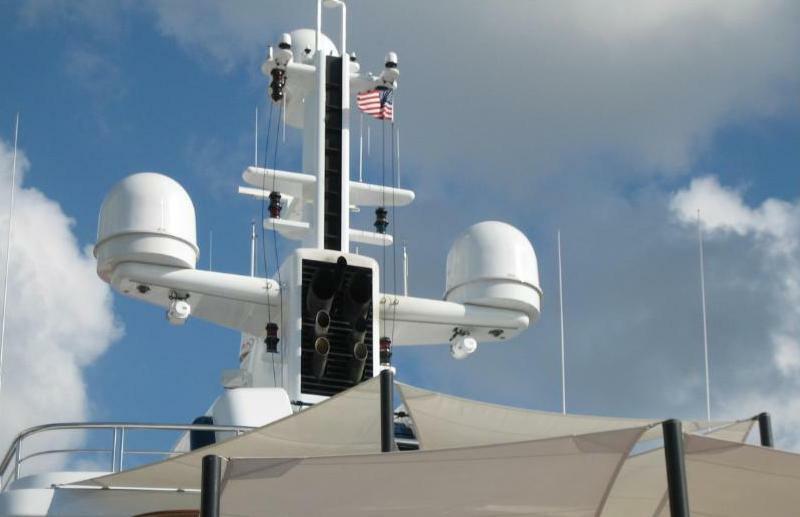 Here is an AL-7203 TV antenna, on port side, mounted in a AL-7103 radome to match the VSAT on the starboard side. The antenna was mounted on its own base inside the radome, and a section of the inner base was removed to allow access through the hatch. This is very convenient for servicing or changing LNBs. Normally one would have to remove the AL-7203 radome to gain access to the antenna. A 7402 with the square base. 23837 visits to this page since 28 Nov 2012.